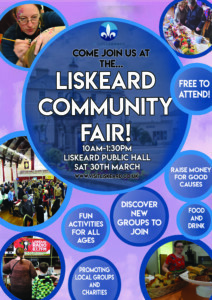 Liskeard Town Council will be holding its Annual Liskeard Community Fair on Saturday 30 March from 10am – 1.30pm at the Public Hall on West Street. The Community Fair will bring together lots of local organisations at the Public Hall. Last year there were over 40 local groups and organisations attending. There will be lots of fun, interesting activities to get involved with and information from groups that you might not even know existed. 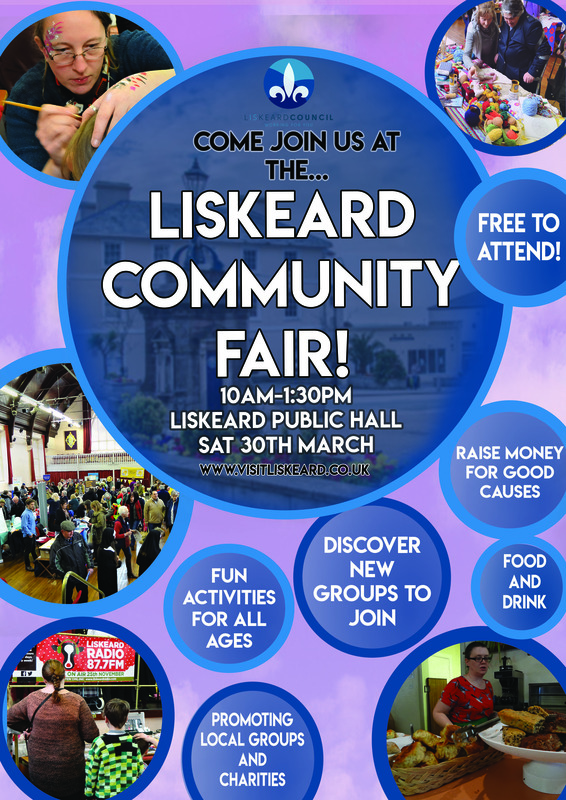 Come along and find out about the amazing range of things you can get involved with, or receive support from in Liskeard. This is a FREE event, so why not pop along. There is now a lift to the first floor giving disabled access to the Public Hall . If you are interested in booking a space to promote your group download the form from the Town Council’s website, pick up a form from the Town Council office or contact Mandy on assistant@liskeard.gov.uk or call 01579 345407, option 3.